In the next 30 years, superbug infections could cost the lives over around 2.4 million people in North America, Australia and Europe alone according to the Organization for Economic Co-operation and Development. These figures simply cannot be ignored and it shows that more needs to be done to tackle the bacteria and germs causing the bugs which are creating risks in our health system. Hospital infections and illnesses are usually caused by contagious pathogens which are able to spread throughout the hospital or clinic. What’s more, antimicrobial resistance is on the increase so the methods we use to eradicate bugs and clear them more effectively. All medical institutions and hospitals should employ professional contract cleaners to ensure minimal risk of bugs spreading, but there are also new methods and technologies being developed all the time, helping to combat the real danger they pose. Programs such as NanoBugs have been developed to help everybody know more about the dangers of bugs and best practice, and this is just the beginning when it comes to new technologies, as well as modification of existing ones. Below is a closer look at some of the newest and most effective methods being trialled in the war against germs. Disinfectants, sterilizers and sanitizers work to kill microbes, but they differ in terms of the pathogens they can be effective against. Some antimicrobials focus solely on the cell wall. However, human cells do not have walls and therefore these antimicrobials can just target the bacteria. Others are designed to target different aspects of a microbe’s systems such as their reproductive and metabolic systems. Textural surfaces are an uncommon and mostly theoretical, although some have been created. Sharklet for example, was created by a material science professor Anthony Brennan. It is designed to mimic the surface of a shark’s skin, featuring millions of microscopic ribs. Sharklet itself doesn’t kill microbes but the ribs create what are known as nano forces. These discourage bacteria from sticking to the surface and make it more resistant, limited their chance to spread. Other textural materials include black silicon which can actually kill bacteria through puncturing its cell wall. Ultraviolet Light disinfection has become much more mainstream. Using UV light, small “robots” are able to kill germs by using short-wavelengths to disrupt the bacteria’s DNA. UV light is harmful to people so this kind of disinfection treatment can only be carried out in empty rooms. UV light has been used in other sectors too, with Boeing using UV light to clean the bathrooms in some of their planes. Heavy metals such as silver and copper are not new developments in germ killing, but they are being used in new ways. Heavy metals are able to kill germs through what’s known as the oligodynamic effect. The germ-killing actions of these particular metallic elements depends on the release of a charged particle which can damage and sometimes even destroy the cell’s membrane and its contents. Nanotechnology is another process which isn’t exactly new, but it is being used in new ways. New surfaces, known as photocatalytic surfaces, use mineral nanocrystals as a catalyst which harnesses the power of light. Photocatalytic surfaces are able to create two independent cleaning actions. One action is oxidation, which breaks down organic contaminants such as bacteria, viruses and fungi. The second action is the creati0on of hydroxyl radicals which are known to be one of the most powerful pathogen killers. Professional hospital cleaning service providers work to ensure your premises is kept as clean and germ-free as possible. When there is an outbreak of a superbug it can be worrying for both professionals and patients. Even when it occurs at a different health center or hospital to your own, it can be worrying that it might spread. Having the right cleaning protocols in place is the first step in protecting against the worst germs and bacteria. 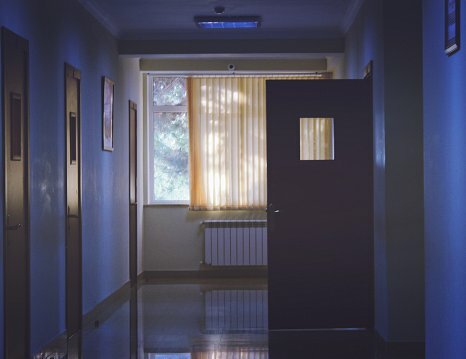 Working with professional hospital cleaners allows managers and the senior team at the hospital to focus on their jobs with the safe knowledge that their premises is being kept as clean as possible. We offer cleaning services to a range of hospitals and medical facilities in our local area. Get in touch if you have reactive or contract cleaning requirements.